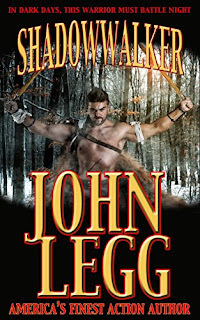 A thrilling science fiction & fantasy by America's finest action author, John Legg. He was known only as Shadowwalker, a name bestowed on him by Lochern, master smith in Swallow’s Roost. Despite his humble beginnings, he has an aura about him, something that presages an extraordinary destiny. Anyone can see that, except himself. In his own mind, he was simply a free warrior, traveling the various fiefdoms of Tho’orn with a special companion. He does, in time, come to realize that he is on a quest, driven — or pulled — by something, though he knows not what. As time goes by, however, his search takes on a greater urgency as the flames of war begin racing across Tho’orn.